The rate of inflation has fallen unexpectedly to 2.4% - driven by the early Easter holiday bringing down air fare prices in April compared to last year. 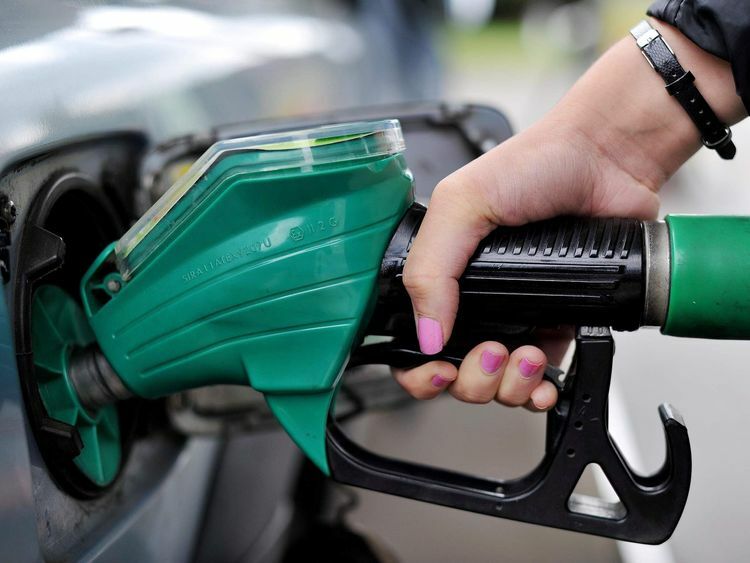 The Office for National Statistics (ONS) said fuel price growth was more than cancelled out by the drop in flight costs in its Consumer Prices Index (CPI) measure. It had stood at 2.5% in March.The updated figure represents further welcome news for households as their spending power is boosted thanks to prices rising at a slower pace than wage growth following a year in the doldrums.However, the pound fell sharply against the dollar, ending the day at $1.33 - a level not seen since December as investors saw the prospect of an interest rate rise by the Bank of England slip further away amid concerns for growth in the economy. That is despite warnings by the Bank and market commentators that falling inflation could be short-lived as fuel prices surge and retailers pass on the cost of the so-called sugar tax for soft drinks - introduced in April.Head of inflation at the ONS, Mike Hardie said: "Inflation continued to slow in April, with air fares making the biggest downward contribution, due to the timing of Easter. "This was partially offset by the rise in petrol prices. Soft drink prices saw their biggest ever rise for this time of year, due to the introduction of the sugar tax. "However, many retailers still haven't passed the impact of the tax onto shoppers. "Annual price growth for goods leaving factories was unchanged in April. However, the cost of raw materials increased, mainly driven by strong rises in crude oil prices. "The cost of a barrel of Brent crude topped $80 a barrel for the first time in three-and-a-half years a week ago.Petrol and diesel prices have been quick to catch up, prompting warnings of potential further damage to the slowing economy from easing demand.The pound's weakness is adding to costs because oil is priced in dollars.The ONS figures also showed clothing prices had climbed 1.7% year-on-year while utility bills, for things like gas and electricity, rose 5.7% annually. Ruth Gregory, UK economist at Capital Economics, said of the cooling in inflation: "We don't think that this significantly reduces the chance of an interest rate hike in the MPC's (monetary policy committee's) August meeting. "She added: "Provided that activity data rebounds in Q2 (quarter two) as we expect, we continue to think that it is more likely than not."